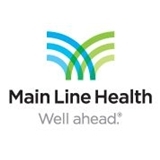 MLHC Internal Medicine LP (Broomall) - Book Appointment Online! I love seeing Dr. Rosenthal as my primary care doctor. She is very knowledgeable but makes sure to clarify everything and explain things in multiple ways. She reads her notes out loud while typing them to ensure that they are accurate and that her patients are on the same page as her. She is very understanding and I have never felt rushed while in the office. So nice and very therow . I have been searching for a good primary doctor for a few years. I finally found one! Dr. Gallo was very thorough. She listened and responded to me with true caring and concern. I will definitely recommend her to my family and friends! Her office staff was just as professional and caring! Very rare to get the whole package!